As a state Republican leader continues to roil his party with comments about gay people and Muslims, Gov. Rick Snyder used a Martin Luther King Day speech to call for more public civility. 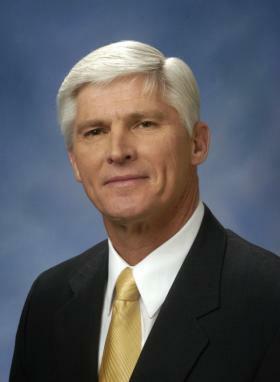 The governor’s comments were yet another veiled reference to Michigan Republican National Committeeman Dave Agema. But Snyder still refuses to call out Agema by name or join other Republican leaders who are calling on Agema to quit. Over the weekend, former Michigan Republican Chairwoman and major Republican donor Betsy DeVos said it’s time for Agema to go. Also, Republican National Committee Chairman Reince Priebus released a statement saying Agema’s words do not represent the Republican Party. The RNC is to meet in Washington this week. LANSING, Mich. (AP) - As the Republican National Committee prepares for meetings in Washington this week, Gov. Rick Snyder and other party leaders in Michigan are criticizing repeated anti-gay and anti-Muslim remarks by Committeeman Dave Agema. The 64-year-old ex-state representative from western Michigan represents the state on the Republican party's national board. 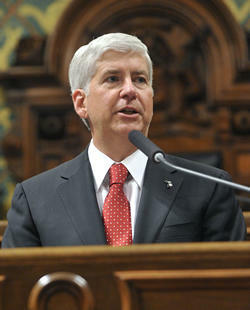 Snyder made a semi-veiled reference to Agema in Thursday's State of the State speech, calling for civil discourse in the public arena. The Republican angst over gay rights continues this week. Driven and riven by the continuing commentary on the topic by Michigan’s Republican National Committeeman Dave Agema, in this case on AIDS and partner benefits. “Folks they want free medical because they’re dying between the ages of 30 and 44 years old… For me it’s a moral issue. It’s a biblical issue,” Agema told a local Republican holiday gathering last week in West Michigan (thanks to the Herald Palladium for audio of remarks). And, as they often do, Agema’s comments have already gotten a lot of attention; inciting what has become a now-predictable ritual of condemnation from Democrats and Republicans. However, Republicans are complaining not so much about what Agema said but, instead, how he said it. For Democrats, Republican National Committeeman Dave Agema really is the gift who keeps on giving. Agema, a former airline pilot and state legislator, seems morbidly obsessed with gay people. He loathes them, and seems creepily fascinated by his mythical version of their lives. 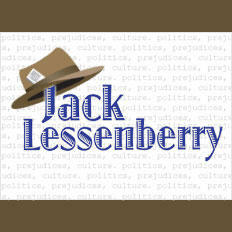 Earlier this year, he made headlines by posting a scurrilous, wildly inaccurate, and bizarre article about what he likes to call “homosexuals” on Facebook.